With Syrian, Italian and English ancestry and raised with French culture, John Coury is the archetype of a world citizen, multilingual and adaptable to highly complex environments. His facility with remotely managing multicultural teams directed him to a successful and high-flying career on the executive committees of major international groups. He is passionate about history, believing it can better illuminate the future. The bridge between the past and the future, the East where he was born and the West where he was raised, bring his own personal stamp and subtlety to his inner world. His meeting with Florent Maillard and their "complementary differences" in tastes eventually became the soul of their magical designs. The descendant of a renowned architect and with a passion for beautiful gardens inherited from his mother, Florent Maillard spent his adolescence in the Baie de Somme, an inspiration for numerous artists and writers with its unique radiance. After studying hotel management in Switzerland and design in Paris, his unconventional profile led him to a major international bank, where he enjoyed a successful career in financial communication. But the staid environment of finance began to weigh on him. His genetic attraction to beautiful stones, to interior architecture and design would prevail as he yearned to give free rein to his creativity. His meeting with John Coury and their "complementary differences" in tastes became the soul of their magical designs. 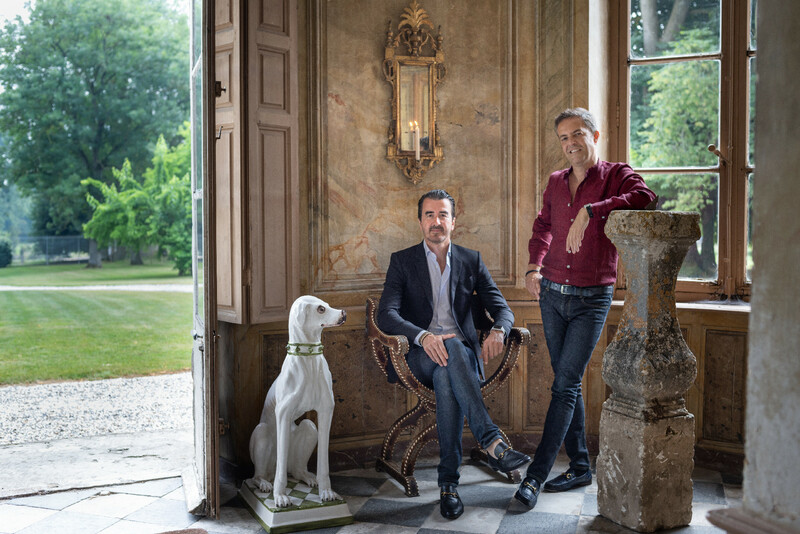 Since 2004, this partnership has birthed personal projects, both in France and internationally until, persuaded by their entourage, they decided to focus on interior architecture, design and decoration. That was the beginning of CM Studio Paris.